True travel foodies plan their day around their meals. 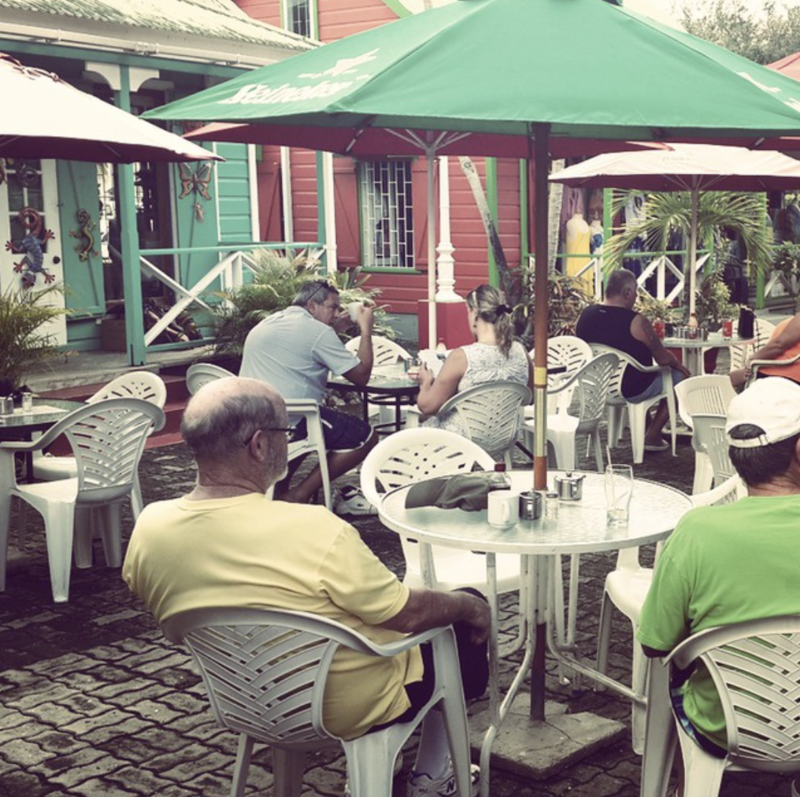 Here are 10 of our favourite places to grab lunch in Barbados. How many have you been to? Located at Bougainvillea Barbados overlooking the stunning Maxwell Beach. 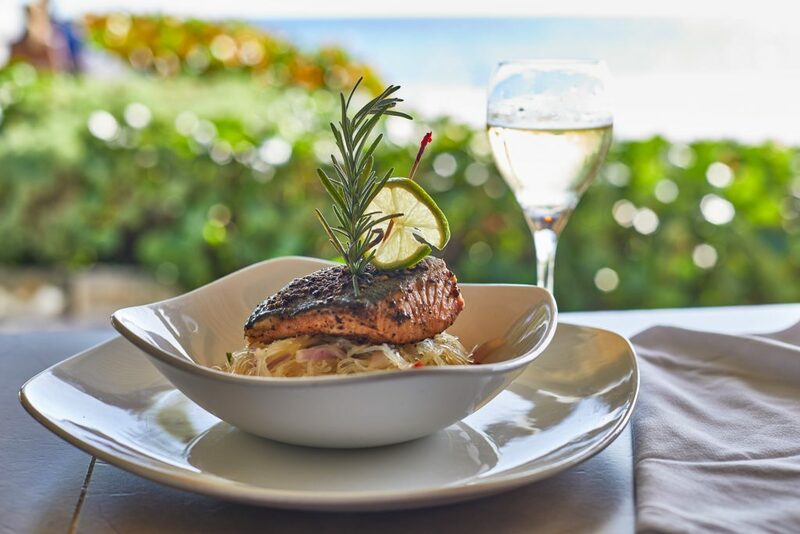 Calabash Café is known for its tantalizing international dishes and the local flavours of Barbados. Calabash Café is great for families too! There’s a kid’s menu with several favourites to choose from. After lunch, enjoy a long walk across the white sandy shores or a dip in the sea. View a sample lunch menu here. Spend a day wondering the scenic Speightstown on the north-west coast of Barbados. The Orange Street Grocer is located on the Speightstown boardwalk with stunning views of the ocean, pier and sunset (if you stay on for drinks after lunch). The Orange Street Grocer is known for their pizza, salad and desserts. Speightstown was formerly known as Little Bristol hence the name of this popular beachfront pub. Speightstown is easily accessible by public transportation. Hop on the ‘Speightstown’ bus and get off at the last stop in front of the bus terminal. From there, walk towards the traffic lights, turn left, then turn right and walk for about 3 minutes and you’ll find Little Bristol Beach Bar. Walk with your camera to capture the beauty of rustic Speightstown. Little Bristol offers sandwiches, burgers, local favourites and cocktails of course! A trip to Barbados is not complete until you have had a Cuz fish cutter?! Featured in international magazines as one of the best sandwiches in the world! Cuz has one thing on its menu, a lightly pan seared blue marlin fish steak in a salt bread. Add cheese and other toppings including the popular Bajan pepper sauce. 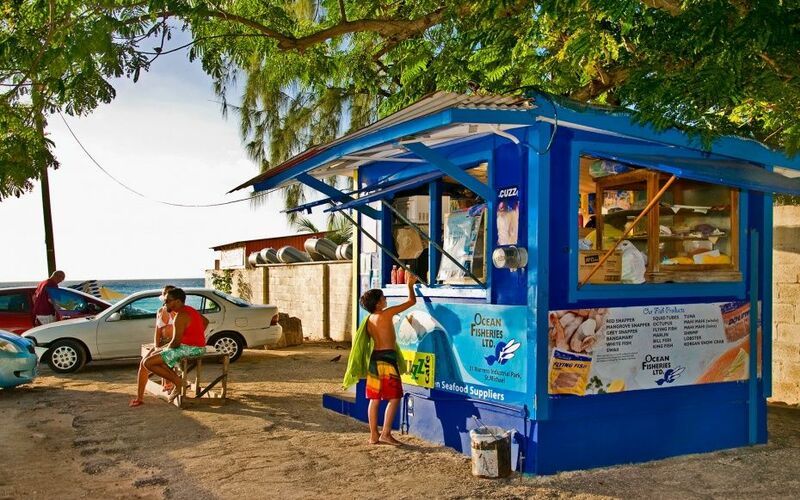 Cuz Cutters is a small shack with no tables and chairs for dining, but it is located on the beautiful Carlisle Bay so you can enjoy your sandwich on the beach. 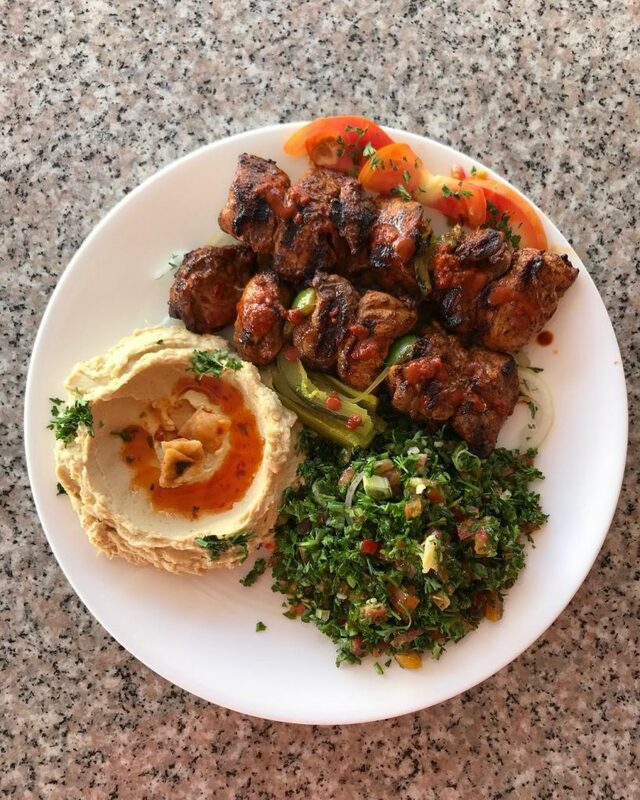 Family run with love and passion, Sahara is a fast-casual restaurant with 5-star meals each made to order and carefully plated. Sahara was the first restaurant in Barbados to start taking orders online. We strongly recommend ordering ahead of time as they can get quite busy and wait times can get long (but trust us, it is worth the wait!) Try the falafels, they are a crowd favourite! To view the menu or order online click here. Outstanding food at reasonable prices, Salt Café is rated #1 out of 38 restaurants in Hastings Barbados on Trip Advisor. The menu features fresh local ingredients and has vegetarian and gluten-free options as well. Salt is said to stand for ‘Simon and Lauren Tempro’ the names of the lovely couple who own and operate this modern family run café. 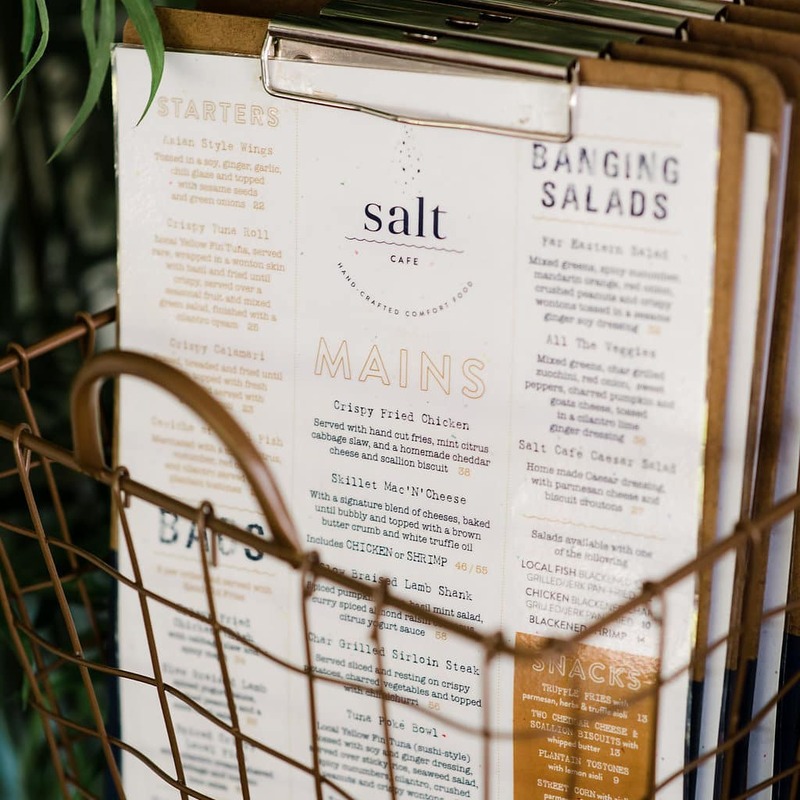 We strongly recommend making a reservation as Salt Café is a popular lunch spot for locals and visitors alike. Bliss Café started the New Year by opening a new location in St. Lawrence Gap (where Luigi’s Restaurant used to be). Known for their fresh waffles and crazy milkshakes Bliss Café is a family run, breakfast lover’s paradise – or place or pure ‘bliss’. They also serve homemade panini’s, natural juices and all-day English breakfast. 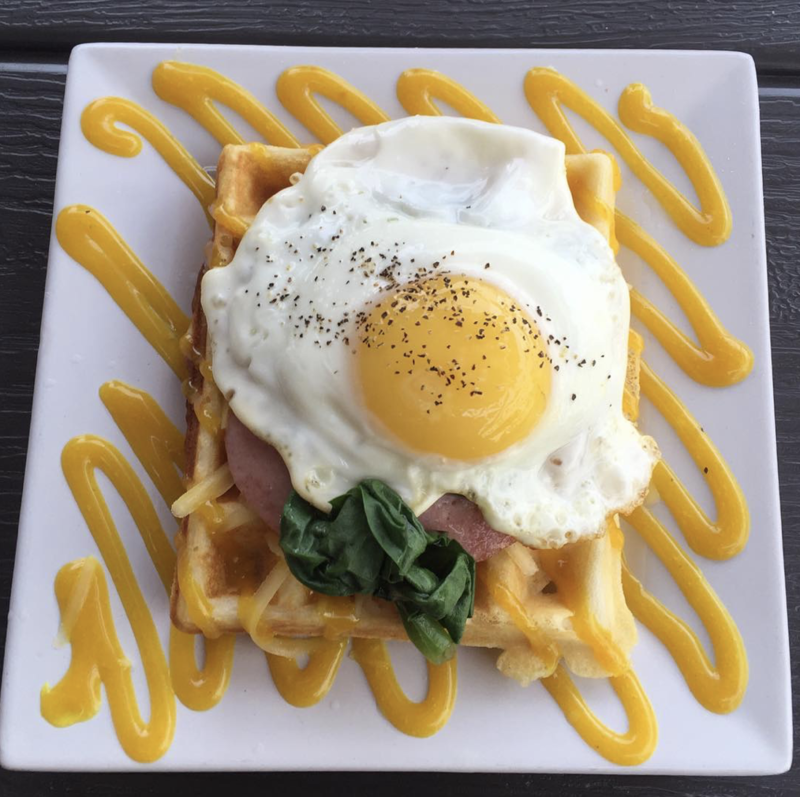 How good does this deluxe savoury waffle with ham, spinach, a sunny side up fresh egg and honey mustard sauce look?! 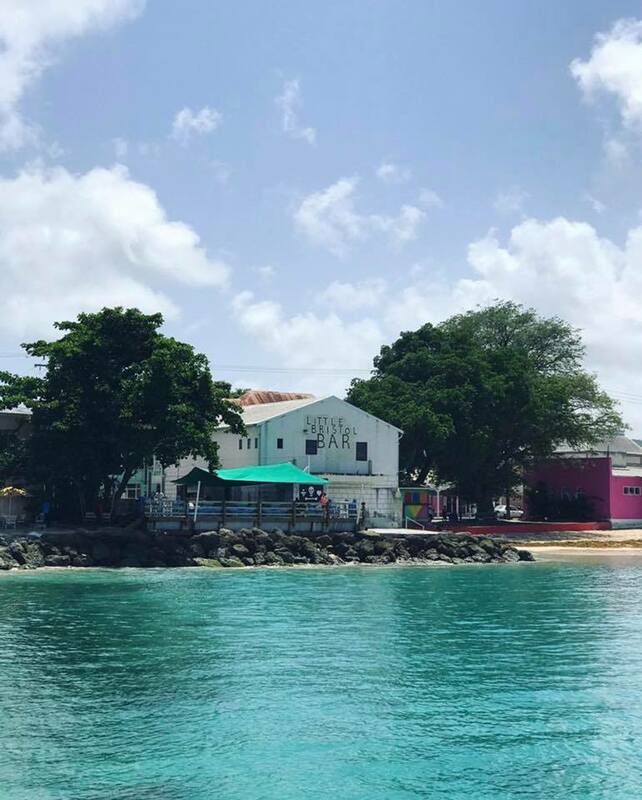 Rated #1 out of 36 restaurants in St. Lawrence Gap on Trip Advisor, Happy Days Café is the place to enjoy a casual breakfast or lunch before a day at the nearby Dover beach. The menu has something for everyone and is reasonably priced but walk with cash as Happy Days Café does not accept card. Happy Days friendly service and tasty food has allowed them to build a loyal, returning customer family. View their lunch menu online here. A taste of Jamaica in Barbados! 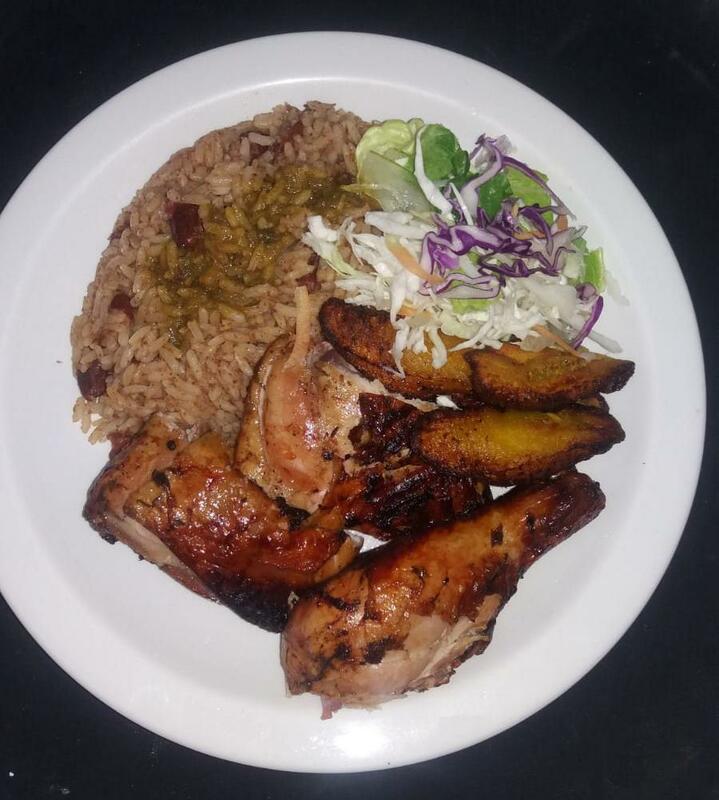 Enjoy authentic Jamaican jerked meats, ackee and saltfish, patties, rice n peas, oxtail and more at Irie Foods located on Dover Road. Dover is just a short walk from Bougainvillea Barbados, there is a lot to see and do in the area, including a popular surf school. Take your time and explore Dover before experiencing the flavour of Irie Foods. 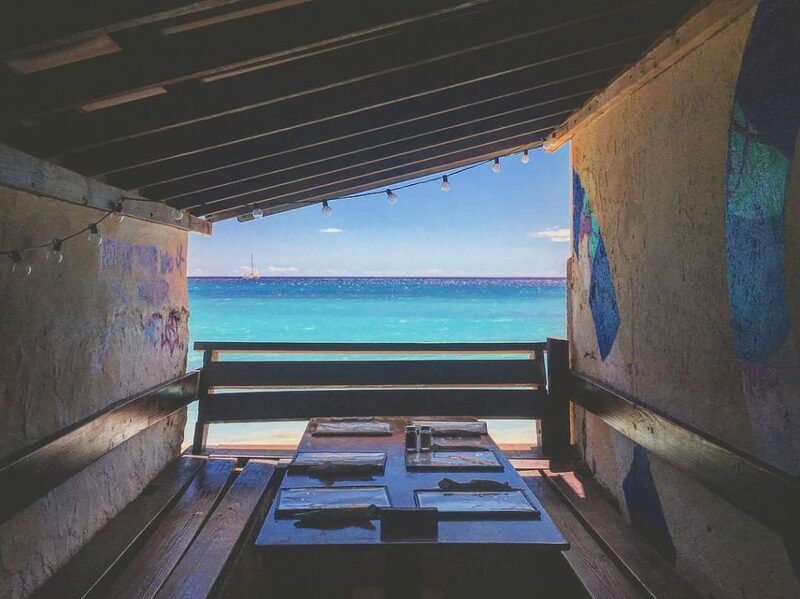 Overlooking the specular Oistins Bay, Surfer’s Café offers a laid back, island life atmosphere with great service and delicious food and drinks. The cool vibes and rustic charm paired with the free wifi will make you never want to leave. 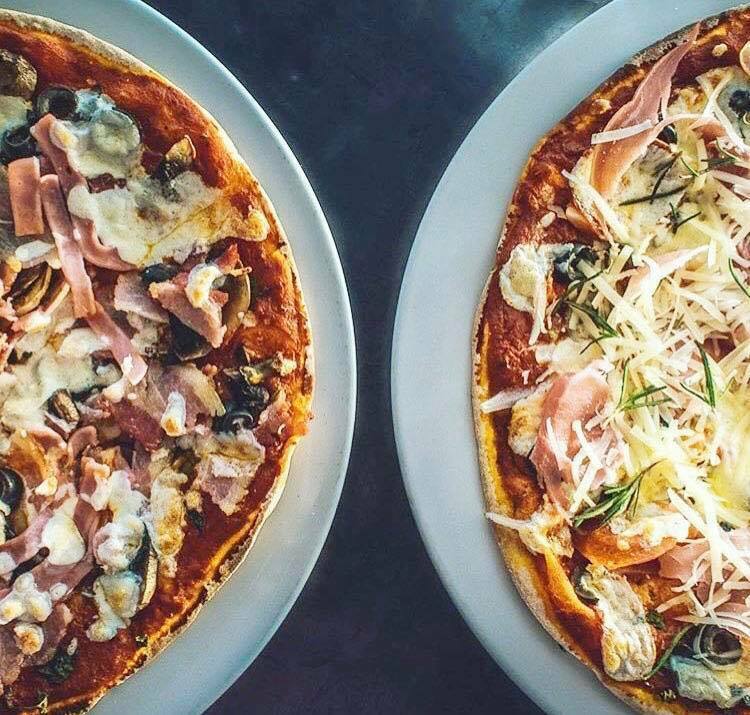 Their menu is surf themed and includes favourites like the ‘Long Board Omelet’ and the ‘Freights Flying Fish Cutter’ view their menu online here. There are so many awesome dining spots in Barbados. 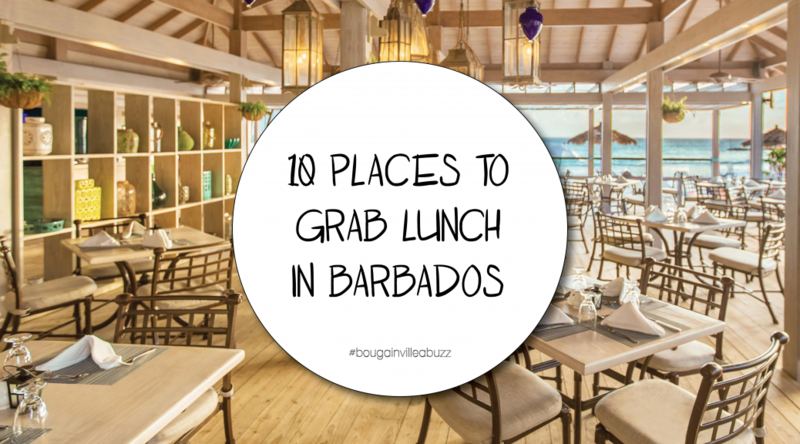 Leave a comment to let us know your favourite place to grab lunch in Barbados.